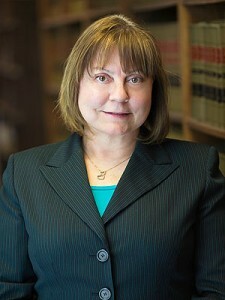 Gloria Bogen has devoted her legal career to representing individuals in Family Law cases since she graduated with honors from William Mitchell College of Law and was admitted to the Minnesota Bar in 1982. Her vast knowledge of the law, over 30 years of legal experience, and her skills as a litigator and effective negotiator means that you will receive professional, ethical, effective and quality representation with your family law issues, including divorce, paternity, custody, parenting time and visitation, child support, third party custody, annulment, and post-decree matters. Gloria has represented over 1,000 clients in her career, appearing in almost every county courthouse throughout the State of Minnesota. She has represented clients in all types of Family Law hearings, including Temporary Motions, Evidentiary Hearings, Trials, Motions to Reconsider, Motions to Modify, Review Hearings, Contempt of Court, Appeals, Mediation, and Early Neutral Evaluations, and makes over 100 Court appearances each year. She was the Executive Director and Lead Staff Attorney at the non-profit Legal Assistance of Washington County for 15 years, providing free legal representation to low-income family law clients. She is certified as a Social Early Neutral Evaluator and has worked as a Parenting Consultant. Gloria helped develop and administer the Washington County Legal Advice Clinics and continues to volunteer her time there, as well as at public educational legal forums sponsored by the Washington County Law Library. She has also volunteered as a judge/evaluator for the Minnesota High School Mock Trial competition. Gloria lives on the West Side of St. Paul with her husband. They are active community volunteers and like to travel, spend time at Canterbury Park, and play with their granddaughter.